An Antipeel Technology ensures unmatched tape durability. Besides, the tape comes with a detailed illustrated downloadable guide in the set offering the best taping techniques for different occasions. Wearing it for over a long time might cause skin irritation. Physic Gear is a top-rated kinesiology tape that will perfectly fit athletes, rehabilitation patients as well as pregnant women and people suffering from joint pains. The latest waterproof adhesive formula allows using the tape for water sports or even take a shower with the tape attached. 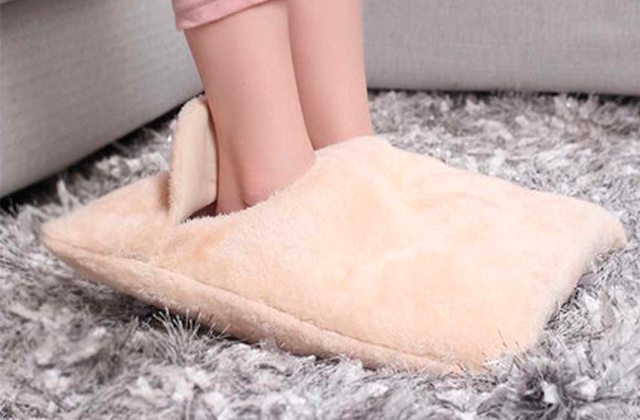 For your choice, it is available in several colours and in a single package. 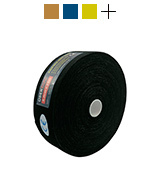 Super elastic tapes offer an immaculate 180% stretch for the heaviest loads and a full range of motion. 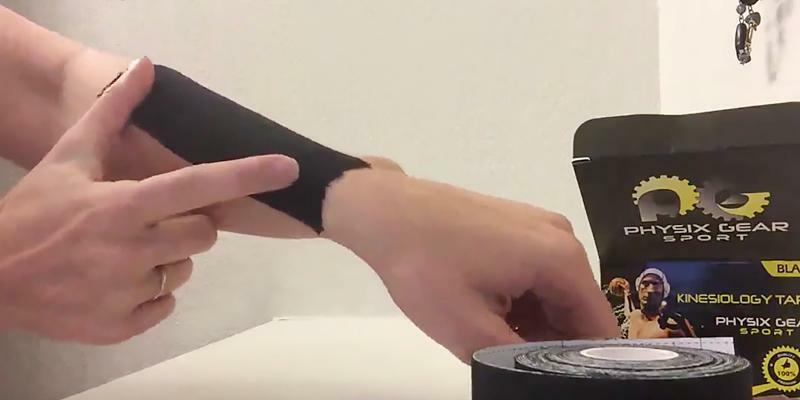 Sweat-resistant adhesive formula allows wearing the tape over a week. Latex and zinc free materials will never cause allergies. An adhesive layer might leave marks on the skin. Unlike other Kinesio tapes, Rocktape can be used both for compression and decompression to alleviate pain and swelling. Designed to be worn under extreme conditions, it will suit athletes, runners, swimmers, cyclists, etc. 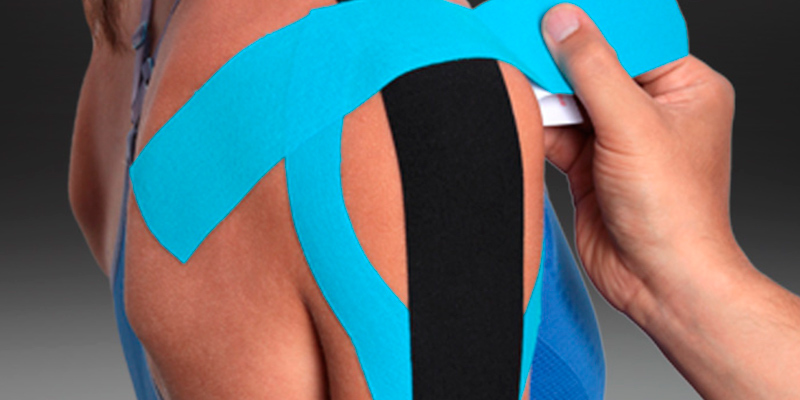 Due to its high elasticity, this Kinesio tape ideally contours your body lines and fit snugly. Thus, it's not noticeable under the clothes. It boasts a great sticking power and can endure heavy rain or shower. 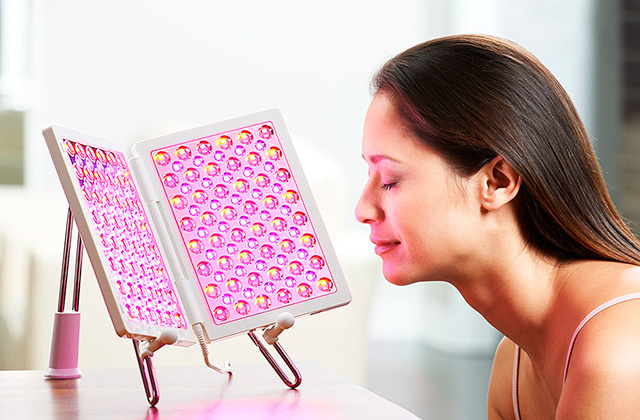 It's FDA & CE approved, yet it may cause skin irritation (<0.05%). If you are a professional athlete and your muscles are often overloaded, this Kinesio tape from KG Physio will minimize the chances of injury during exercising. It'll also provide some relief to your muscles and prevent your joints from overextending. This adhesive tape is latex-free, very gentle on skin, and totally hypoallergenic. So, even if you have extremely sensitive skin, you can use it with no worries. It might have an artificial smell at first. The main advantage of this Kinesio tape is that it improves blood circulation, thus, allowing your lymphatic and venous drainage systems to drain swollen or bruised tissue quicker. The tape is offered in beige colour which makes it almost invisible under the clothing. A package of 6 pieces is also available. The fabric is not only as breathable as possible but also water- and sweat-proof, which is crucially important for intensive workouts. And no matter how sweaty you are, it continues to provide excellent adhesion. If you need a super-durable tape for vigorous workouts, the UberTape is a sensible choice. It's water-resistant, sweat-proof, and very sticky. It's excellent for enhancing performance or helping with sports injuries. No need for compression garments, bandages, and braces anymore! The PHYSIX GEAR SPORT is the best kinesiology tape that along with first-class quality and performance characteristics, offers the unmatched versatility of use. It will help relieve pain in your back, ankle or elbow joints, soothe muscle pain, neuromuscular pains, hematomas or other muscles, joints and ligaments pains. When applied correctly, this tape can be used for stilling all kinds of pain, including menstrual cramps. 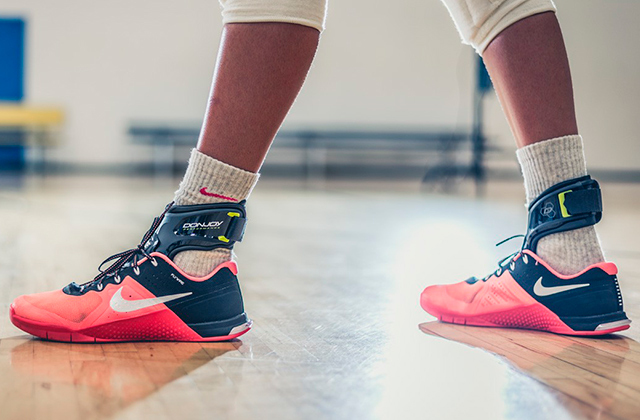 Not surprisingly, the PHYSIX GEAR SPORT has become a favourite choice of professional athletes, having proved to be more than effective during intensive workouts and sports events. The PHYSIX GEAR SPORT kinesiology tape has been designed to last and therefore, can be worn for over several days easily without restricting your movements. The tape contours the body precisely, providing support to the body parts you need. For novice consumers who've never used a kinesiology tape before, there's an illustrated downloadable guide with the taping techniques in the box. The PHYSIX GEAR SPORT is offered in several colors, from beige, pink, white and yellow to red, green and black to fit any sports outfit and to meet personal taste preferences. Whether you are a professional athlete, a newbie willing to keep fit or a rehab patient in need of additional joints and muscles support, the PHYSIX GEAR SPORT kinesiology tape is for you! Highly recommended by physical therapists and chiropractors, the PHYSIX GEAR SPORT tape is one of the best in its class and can significantly improve your sporting performance and health. When going to the gym, do not forget to take a fitness tracker to keep track of your physical condition and workout intensity. If you are an endurance athlete accustomed to daily intensive workouts or a keen runner participating in long-distance runs, triathlons, etc. the Rocktape kinesiology tape will definitely come in handy. 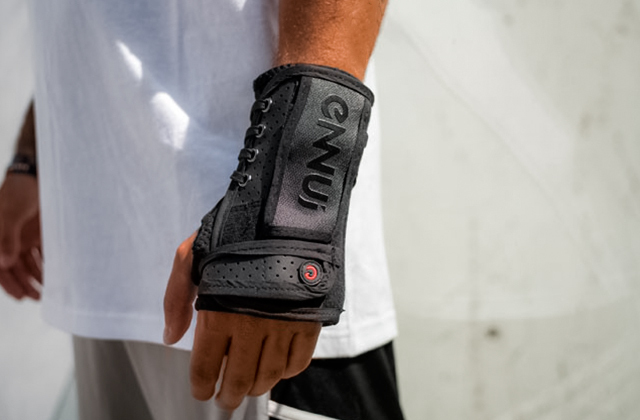 With the Rocktape, you'll not need to apply patches or bandages, since once you have it attached, you will be able to wear it for several days in a row. The current tape has been designed specifically for people who participate in competitions and need it to be really stretchy. 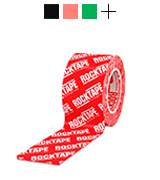 The Rocktape tape meets this requirement owing to its elastic material composition combining cotton and nylon. Not only is it stretchy and elastic, it has also proved to be strong and effective for relieving pains, preventing muscle fatigue, improving blood flow, preventing cramps and promoting recovery. The water-resistant properties of the material composition allow its comfortable use under different conditions, which is an essential requirement of professional athletes who're seriously into sports. The sweat doesn't affect its adhesion which means the tape isn't going to become loose too and will stay in place like intended. Even though the Rocktape looks pretty simple, this impression is quite misleading. The tape can provide you with many different taping combinations, techniques and strengths for quick therapeutic results. Apply it to a sensitive area before going to a gym in order to avoid muscle strains and overstretching. In addition to all health benefits, the Rocktape tape is remarkable for its trendy design. A user can choose from a whole array of colours to find the tape that would suit his/her style or outfit better. Another small yet highly efficient unit that will help you shake off stress and relax your stiffed muscles is a pain relief device. Give your body relaxation after intensive workouts! The KG Physio Muscle Tape is a super versatile product used to treat a variety of musculoskeletal injuries like arthritis, postural injuries, patellar tendinopathy, lower back pain, different running injuries, knee, hip muscle tears. 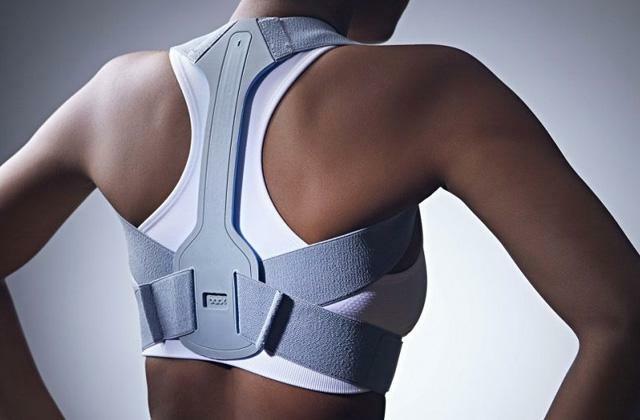 It's also good for strapping for shoulder injury, and more. It can give you a necessary support in the early stages of healing, thus, preventing further damage by stressing painful areas. 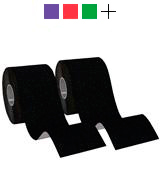 Also, the tape can help you if you have weak ligaments and want to strengthen them doing sports. It'll work wonders for supporting your joints during walking or running. The tape will definitely provide some relief and stop your joints from overextending. Being 5cm x 5m, this Kinesio tape is super sticky. It's extremely hardwearing and can last in the rain. 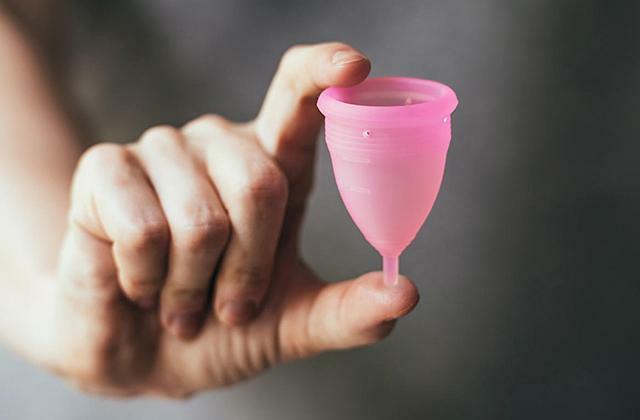 Moreover, it does remain stuck even after showering, so you can use it for a couple of days. However, it peels off quite easily when needed. The tape comes with a small instruction leaflet that will help you how to tape up correctly. There are also many YouTube videos telling users how to apply it for particular injuries. The tape is available in 12 fancy colours to brighten up your days. It's perfect for cycling, jogging, going to a gym, and other related activities where you need to offload problem areas. With KG | PHYSIO Kinesiology Tape, you'll forget about muscle strains and overstretching. The Mueller kinesiology tape is an extremely mild model that is suitable even for the most sensitive skin. It's latex-free and completely hypoallergenic. Made of 100% cotton, the tape is breathable, elastic, and flexible enough to support your muscles and joints. The tape boasts a revolutionary adhesive design which lifts the skin to improve body circulation, ease pain, and helps maintain ligament flexibility. 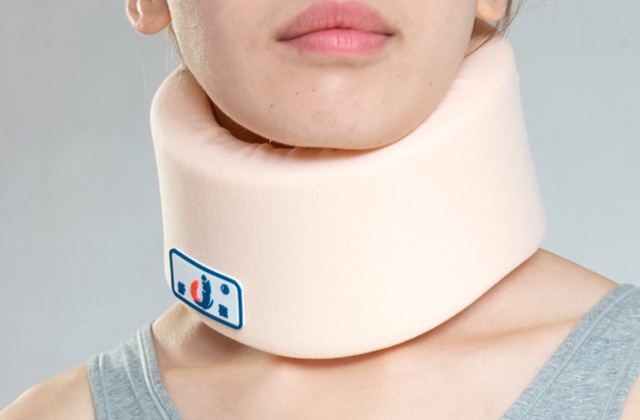 It's a real life-saver for lots of injuries. It's better to round the corners with scissors to prevent the corners rolling or lifting up. Heat up the area you're going to attach the tape to beforehand. Try to keep your fingers from touching the adhesive when applying the tape. Don't overstretch the ends. Sticking to these pieces of advice, you can establish a good bond with your skin for the longest results. The tape is available in beige, so irrespective of your skin colour, it'll be almost invisible beneath thin clothing. Also, you can select Black, Blue, or Pink colours. 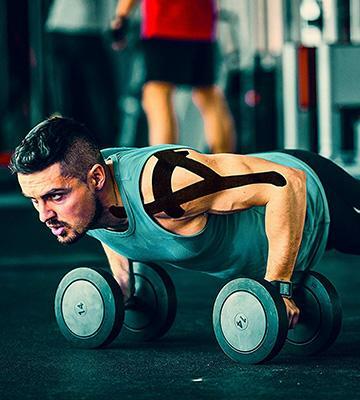 No matter whether you are a pro athlete, a gym goer willing to keep fit, or a rehab patient requiring joints and muscles support, the Mueller Kinesiology Tape will fit the bill! The UberTape is a professional therapeutic tape that can enhance your sports performance, provide pain relief, improve blood circulation and ensure superior support to your muscles and joints. This hi-tech tape is very strong, stretchy, and robust. It's a revolutionary kinesiology tape which sticks extremely well. 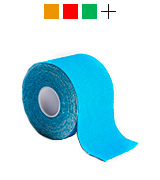 Made of water-resistant and sweat-proof material, it can outlast any other therapeutic tape in terms of durability. Numerous tests show that the UberTape can last for up to 12 long soaks in a bath. Thanks to the latex-free adhesive, it doesn't ride up on the skin and keeps muscles and joints well-supported. And despite its excellent adhesion, the tape won't pull or rip off your skin when you remove it. The tape is produced from hypoallergenic materials using the medical grade technology, meaning you can wear it for extended periods without itching and irritation. The package includes a handy guide for people who are new to Kinesiology. With more than 100 illustrations, the instructions are very easy to follow. The tape is available in a brilliant colour range to suit your needs. The standard roll is 5 m x 5 cm, however, if you need, you can purchase an extra-long option (35 m x 5 cm). Overall, the tape is great for active people who want to continue doing sports without using their compression garments. This tape can be worn for three days or even longer (depending on the intensity of your workouts) without losing its grip. If for some reason, you're not satisfied with the product, you can get a full refund. So you have nothing to lose! What is a kinesiology tape and what is it used for? It’s a special technology developed by Dr.Kenzo Kase in late 1970s for efficient muscles, joints and ligaments support during intensive workouts or during rehabilitation period after injuries or surgeries. 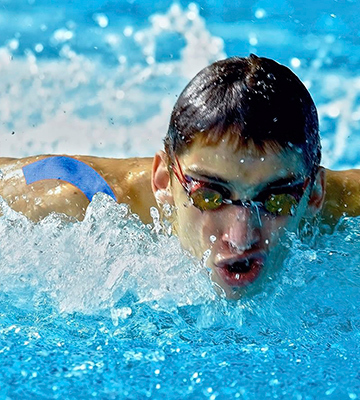 Usually, Kinesio tapes are made of either cotton (sometimes combined with elastic fibres) or synthetic microfibers to be identical to human skin in elasticity. Thanks to their exceptional elastic characteristics and stretching properties along with a hypoallergenic adhesive layer, the tapes can be worn for days in a row. A kinesiology tape is a true magic tape that provides a number of extensive and varied benefits. It can effectively relieve acute and chronic pains, reduce swelling and inflammation, improve lymph flow and blood circulation, alleviate muscle aches. Besides, kinesiology tapes help unload muscles or joints during a rehabilitation period after traumas, injuries, sprains or fractures. Kinesiology for knee pain! Also, the tapes will be of great use for long distance marathons and treks to speed recovery of overused and fatigued knee muscles and joints. During pregnancy, these stretchy stripes will be perfect for additional back and abdomen muscles support while after a baby birth they will help prevent abdomen muscles diastasis. Kinesio tapes are designed in different colours, from light beige to be almost invisible on your body to a variety of bright colours to choose the one that will match your sportswear or even funny and stylish pattern designs to any taste. 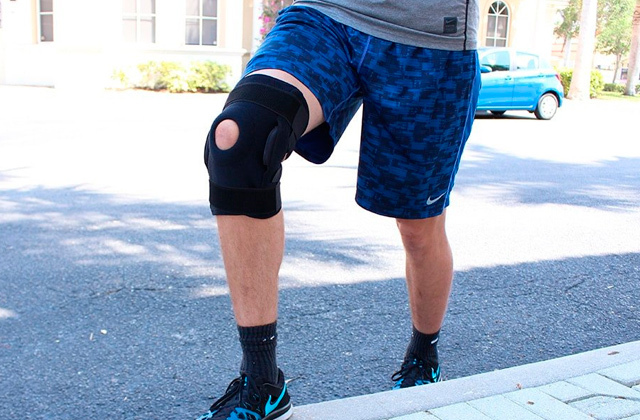 To stay active in case of lower leg injuries you can try knee braces or ankle braces. 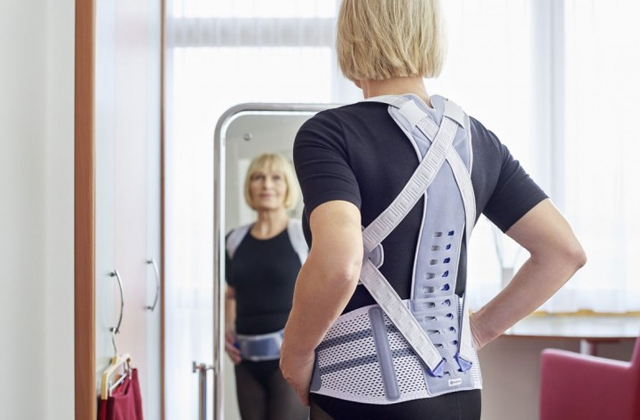 They will prevent joints overloads giving you the freedom to move. 1. 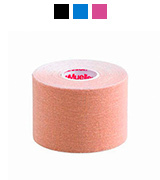 5 Factors to Consider When Buying Kinesiology Tape, eBay. February 12, 2016. 2. Jayson Goo Kinesio Taping Method and Kinesio Tex Tape, MedicineNet. March 23, 2016. 3. Tom Kelso Kinesio Taping: Does It Work? Breaking Muscle. 4. Kelly O'Mara Tape It Up: How Does Kinesiology Tape Work? Competitor Group. November 18, 2015. 5. Tim Locke Kinesio Tape for Athletes: A Big Help, or Hype? WebMD. 6. Kinesio taping in treatment and prevention of sports injuries: a meta-analysis of the evidence for its effectiveness, NCBI.